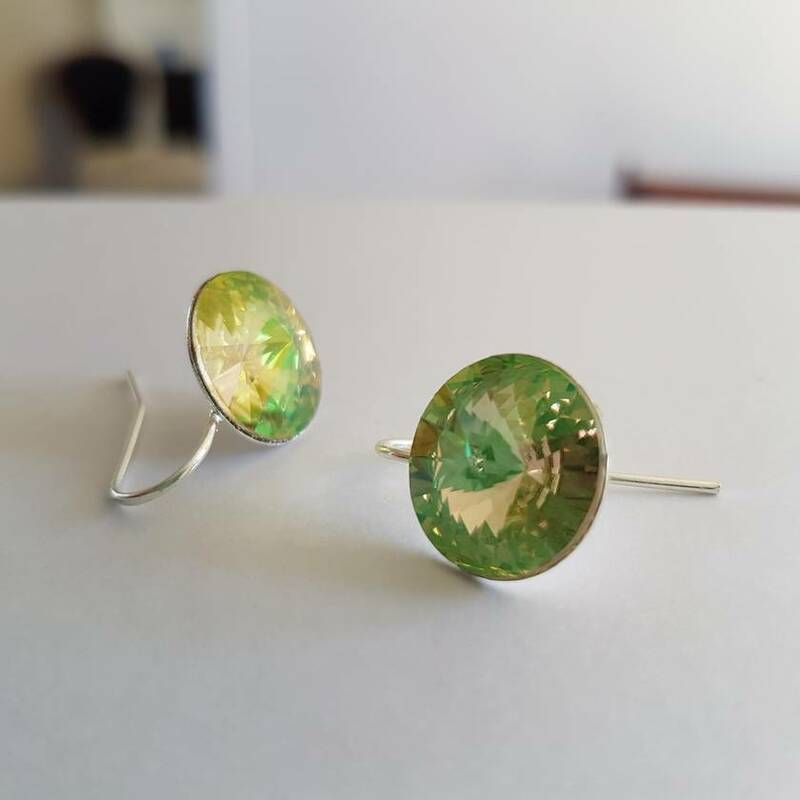 Simply lovely earrings. 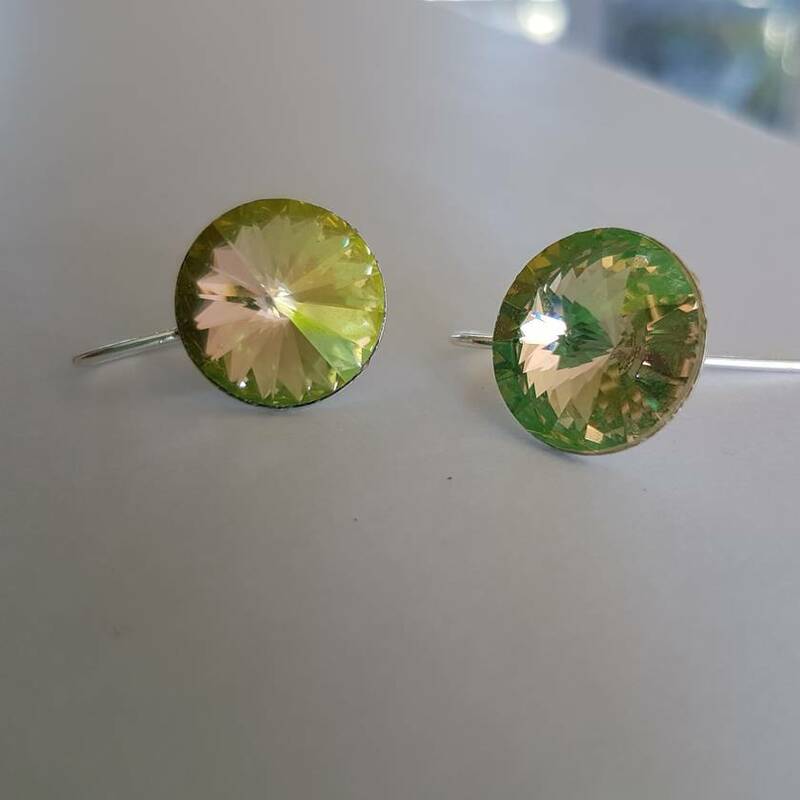 Luminous Green Swarovski 14mm rivoli fancy stone, on simple silver plated earring findings. These simply luminous earrings will make you sparkle.